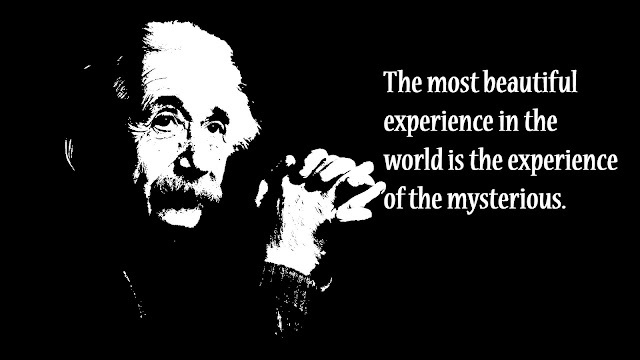 The most beautiful experience in the world is the experience of the mysterious. To be sure, it is not the fruits of scientific research that elevate a man and enrich his nature, but the urge to understand, the intellectual work, creative or receptive. The payment of the worker is not determined by the value of his product. What is the meaning of human life, or of organic life altogether? To answer this question at all implies a religion. There is, however, one other human right which is infrequently mentioned but which seems to be destined to become very important: this is the right, or the duty, of the individual to abstain from cooperating in activities which he considers wrong or pernicious. Every serious scientific worker is painfully conscious of this involuntary relegation to an ever-narrowing sphere of knowledge, which threatens to deprive the investigator of his broad horizon and degrades him to the level of a mechanic. We scientists, whose tragic destination has been to help in making the methods of annihilation more gruesome and more effective, must consider it our solemn and transcendent duty to do all in our power in preventing these weapons from being used for the brutal purpose for which they were invented. I can understand your aversion to the use of the term 'religion' to describe an emotional and psychological attitude which shows itself most clearly in Spinoza... I have not found a better expression than 'religious' for the trust in the rational nature of reality that is, at least to a certain extent, accessible to human reason. My life is a simple thing that would interest no one. It is a known fact that I was born, and that is all that is necessary. The ordinary adult never gives a thought to space-time problems ... I, on the contrary, developed so slowly that I did not begin to wonder about space and time until I was an adult. I then delved more deeply into the problem than any other adult or child would have done. What is essential in the life of a man of my kind is what he thinks and how he thinks, and not what he does or suffers. I have never obtained any ethical values from my scientific work. Love brings much happiness, much more so than pining for someone brings pain. I have come to know the mutability of all human relationships and have learned to insulate myself against both heat and cold so that a temperature balance is fairly well assured. Now to the term 'relativity theory.' I admit that it is unfortunate, and has given occasion to philosophical misunderstandings. I cannot accept any concept of God based on the fear of life or the fear of death, or blind faith. I cannot prove to you that there is no personal God, but if I were to speak of him I would be a liar. The solitude and peace of mind are serving me quite well, not the least of which is due to the excellent and truly enjoyable relationship with my cousin; its stability will be guaranteed by the avoidance of marriage. I became more and more convinced that even nature could be understood as a relatively simple mathematical structure. Germany had the misfortune of becoming poisoned, first because of plenty, and then because of want. Only in mathematics and physics was I, through self-study, far beyond the school curriculum, and also with regard to philosophy as it was taught in the school curriculum. Evil does not exist sir, or at least it does not exist unto itself. Evil is simply the absence of God. It is just like darkness and cold, a word that man has created to describe the absence of God. God did not create evil. Evil is not like faith, or love that exist just as does light and heat. Evil is the result of what happens when man does not have God's love present in his heart. It's like the cold that comes when there is no heat or the darkness that comes when there is no light. Understanding of our fellow human beings...becomes fruitful only when it is sustained by sympathetic feelings in joy and sorrow. The real difficulty, the difficulty which has baffled the sages of all times, is rather this: how can we make our teaching so potent in the motional life of man, that its influence should withstand the pressure of the elemental psychic forces in the individual? It would be a sad situation if the bag was better than the meat wrapped in it. I have lived to prove Thoreau's contention that a man is rich in proportion to the number of things which he can afford to let alone. Opinions about obviousness are to a certain extent a function of time. Qualities I sought in a scientific theory were naturalness, inner perfection and logical simplicity from an aesthetic approach. For science can only ascertain what is, but not what should be, and outside of its domain value judgments of all kinds remain necessary. Religion, on the other hand, deals only with evaluations of human thought and action: it cannot justifiably speak of facts and relationships between facts. Body and soul are not two different things, but only two different ways of perceiving the same thing. Similarly, physics and psychology are only different attempts to link our experiences together by way of systematic thought. Nature conceals her mystery by her essential grandeur. Everybody acts not only under external compulsion but also in accordance with inner necessity. Long live impudence. It was my guardian angel in this world. The years of searching in the dark for a truth that one feels but cannot express, the intense desire and the alternations of confidence and misgiving until one breaks through to clarity and understanding, are known only to him who has experienced them himself.